The world has evolved into a true global economy. What better way to show appreciation or recognize superior performance than to present the Celestial Globe to your most valued customers or employees. 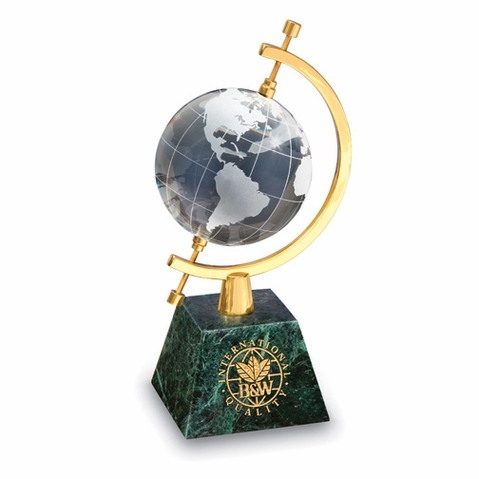 Quarry�s unique 3� white onyx globe, symbolizing universal brotherhood, is suspended by a brass axis rising from a slab of real marble. A very prestigious award for your goodwill ambassadors. Presentation / Gift box included.